Mrtworld is a Retail and Online business providing super fast Mobile phone Unlocking, PC, laptop and Mac repairs, Touch pad, ipad repairs, multiple device, PC, Laptop, mac, Mobile phone and iPhone Accessories in Basildon, Chelmsford and surrounding areas. 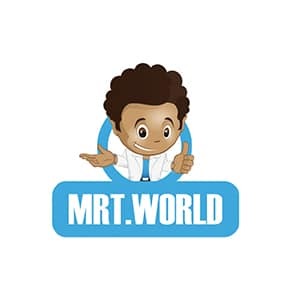 Since the beginning of 2009 Mrtworld launched its first business in Southend and Basildon Essex. After great success and support from customers and clients they were able to expand their business to Chelmsford Essex. Mrtworld has now been able to invest and excel in mobile phone unlocking and Repairs, whilst providing affordable Accessories for some of the worlds leading companies in technology. Not only are they providing an exceptional customer service but also advanced knowledge and expertise in one of the most competitive markets today. They are proud to say that they have become a trusted business giving everything their customers are looking for. The Staff at Mrtworld are all fully trained professionals dealing with repairs, unlocking and sales of their products on a day-to-day basis. They cater for all customers and trade customers whether corporate or independent. Mrtworld continues to expand its reputation through its support of their customers, recommendations, referrals and our suppliers. Through hard work and determination from their experienced staff they are proud of their achievements and success as a business. They are lucky to have such a friendly team of people who aspire to do to great things and help them do the same. If you would like more information about the products and services contact us via email, telephone or by post using the details below. You can also fill out our online quotation form provided on our website. Please give us as much information as possible so that we are able to assist you more effectively.